The movement of children is inevitable as they or their families seek social, educational, and economic opportunities, or safety. While on the move, children are often at an increased risk of exploitation, abuse, and violence, especially if they are unaccompanied or separated. Looking at these children as a group allows the collection of data and the creation of strategies to address their needs and vulnerabilities in their places of origin, while in transit, and at their destinations. This resource page seeks to provide publications about Children on the Move and child protection. The MSiE project, funded by the USAID Office of Foreign Disaster Assistance, and implemented by Save the Children and Columbia University in association with other key academic partners including Johns Hopkins University, aims to strengthen emergency response programming for unaccompanied and separated children through the development of practical, field-tested tools to enhance the assessment of the scale and nature of separation in emergencies. To read more about our MSiE project, please click here. This report presents both the process and the findings from a recent attempt to better understand customary caregiving arrangements for refugee children living in two camp-based populations in Rwanda. This study sought to explore if a more grounded definition of customary caregiving might, in fact, determine that many children classified as UASC are in fact living in customary caregiving arrangements that are socially and customarily acceptable for the populations living in these camps, care arrangements that do not inherently or implicitly create more vulnerability for the children living in them. Looking at Children on the Move as a group allows the collection of data and the creation of strategies to address their needs and vulnerabilities in their places of origin, while in transit, and at their destinations. 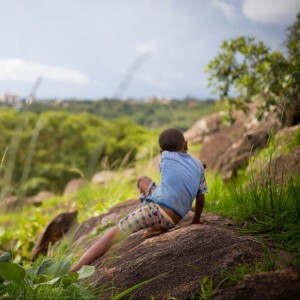 The Mobile Assessment Tool (MAT) can assist in the documentation of these risks and vulnerabilities by exploring the needs and coping strategies of children along their routes of travel. This report details key elements of and findings from the MAT methodology including ethnographic mapping to determine sub-types of children living there, and collecting data about children’s experiences of migration from home to East Jakarta through individual interviews. Children may find themselves at risk due to in part to vulnerabilities associated with migration. Children on the move are often part of larger hidden populations as they may migrate between countries without proper documentation, further increasing their risk for ill treatment. The creation of a mobile tool to document the journeys, needs, and coping strategies of children along their routes of travel will significantly enhance Save the Children’s ability to support children on the move. In particular, it will attempt to fill a knowledge gap about how to design programmes and responses that are appropriate and effective for protecting children in transit, as distinct from children who are in origin or destination locations (although it may usefully inform the latter as well).